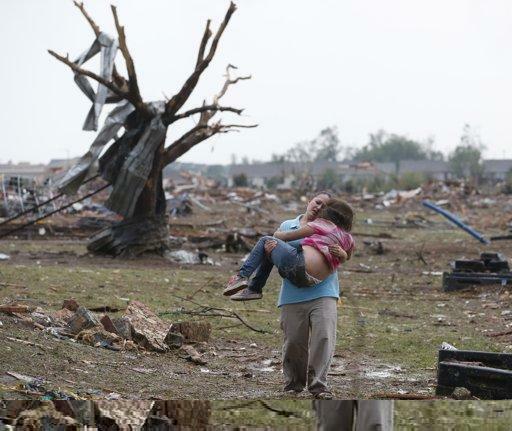 The children in Moore, Oklahoma went to school today like any other day. But many of them never made it back home. 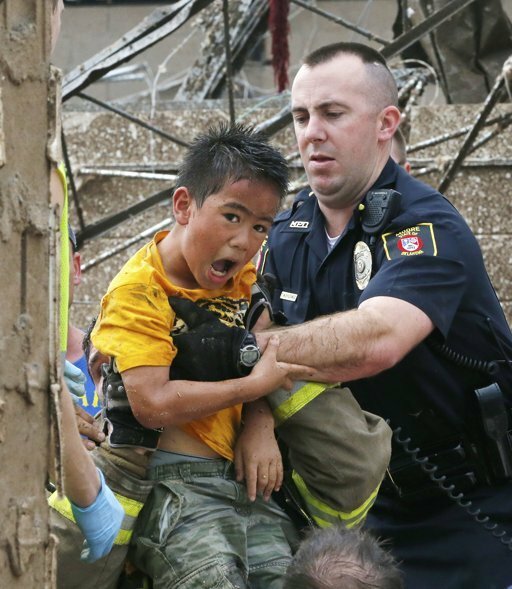 They were killed in the disaster. 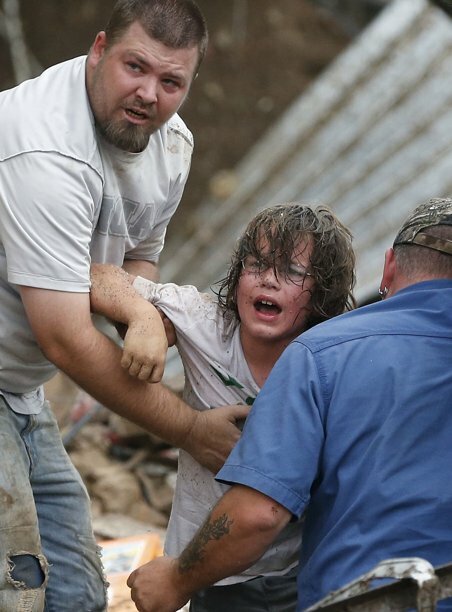 Children at Briarwood and Plaza Towers elementary schools were buried in debris. 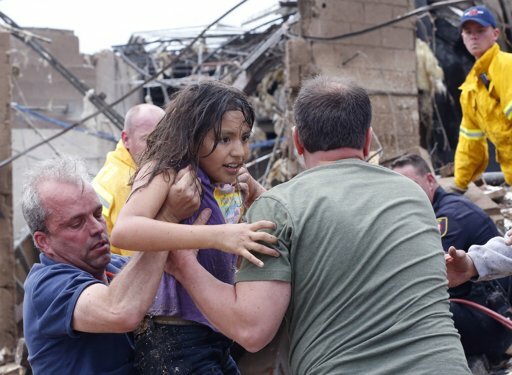 These children were pulled from the rubble. 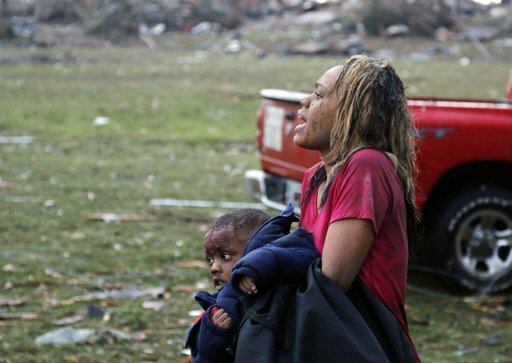 A heroic teacher at Plaza Towers Elementary School reportedly threw her body over several children in an effort to protect them as the storm struck a direct blow on the school. At least 24 children didn’t make it home tonight. Please keep their families in your thoughts and prayers.